Interested in becoming a Certified Warm Water Yoga Instructor? This 40-hour training program led by IAYT Certified Yoga Therapist Terry Roth Schaff will teach you how to make yoga accessible to people with musculoskeletal and neurological conditions. This program is designed to help improve balance, range of motion, coordination and mobility while cultivating a peaceful state of mind. You will learn yoga poses and sequences in the water that increase cardio-vascular circulation, open up restricted joints, stretch tight muscles and strengthen weak ones, and breath work and relaxation exercises to soothe the nervous system, while helping the participants to feel grounded, rejuvenated, and refreshed. Terry will show you how to set up a Warm Water Yoga program in your community. Becoming a certified Warm Water Yoga instructor will give you the opportunity to teach yoga to people who may no longer be able to have an active yoga practice on land, and to people with special needs in a safe and supportive environment. Schaff Yoga Therapy's next Warm Water Yoga Teacher Training is scheduled for May 31 - June 7, 2019 in Rhinebeck, New York. Contact Terry Roth Schaff for more information about how to enroll in this program. Registration is limited to twelve participants. For certification you must already hold a 200-hour certification as a yoga instructor. Special permission to participate in this program may be given on an individual basis to medical professionals and individuals with a serious interest in developing a water yoga practice. Interested in becoming a Certified Adaptive Yoga Teacher? Schaff Yoga Therapy’s Adaptive Yoga Teacher Training provides yoga instructors with a solid foundation to adapt classic yoga postures for students who are limited in movement because of age, illness, disability, or injury. We use chairs, the wall, straps, blankets, blocks, and gentle assists. This program is recognized by the Arthritis Foundation, the Massachusetts Nursing Credentialing Board, and International Association of Yoga Therapists. Understand Basic Anatomy & Physiology as they relate to Specific Medical Conditions. Modify Classic Yoga Postures for people with Physical Impairments, ranging from neurological conditions (such as Parkinson’s and Strokes) to musculoskeletal issues such as, Arthritis, Osteoporosis, and Spinal Stenosis. Use breathing exercises and meditations to deepen your students’ experience. Structure classes so that students of any age, shape, size, ability, or disability may be able to participate and enjoy the yoga experience safely and comfortably. Guide people living with physical limitations confidently and compassionately through a yoga experience that is both safe and satisfying. •	Be prepared to teach yoga in a variety of settings including independent and assisted-living facilities, nursing homes and hospitals. 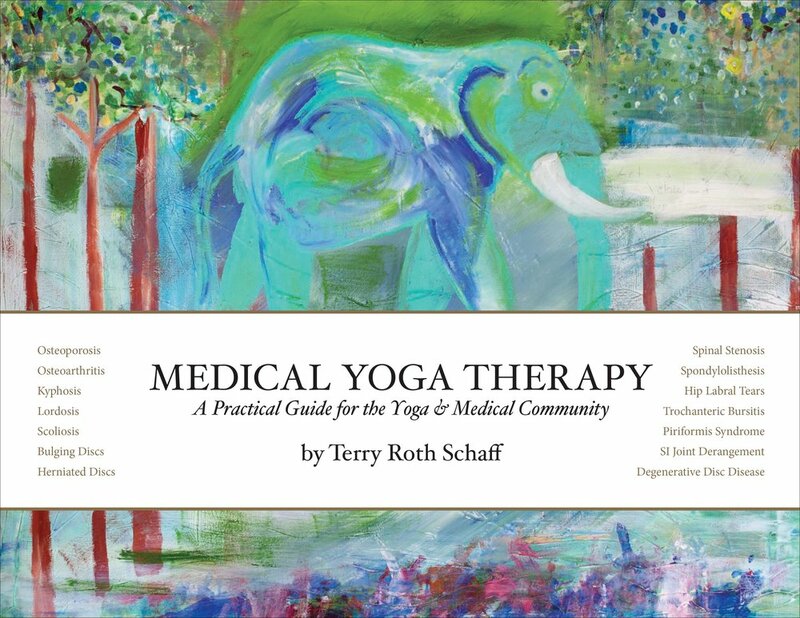 This Training Program is appropriate for yoga teachers, physical and occupational therapists, nurses, and physicians, and for those interested in deepening their own personal practice. Upon successfully passing both a written test and a practicum participants will receive a certification of completion. Experienced 200+ certified yoga teachers who successfully complete the program will also be elegible to become Certified Schaff Yoga Therapy Water Yoga Instructors. Our next Adaptive Yoga Training Program will be held at Kripalu Center for Yoga & Health in Stockbridge, MA from July 21 - 26, 2019.